Whole body health starts with healthy teeth! At the dental practice of Ratna Indah, DMD, our office approaches everyday dental needs with a holistic philosophy that recognizes teeth and associated oral structures are a part of the whole body. Dr. Indah’s extensive training and emphasis on both oral and total health combine sound dental research, modern technology, and advanced expertise. Biocompatible Dental Materials: Our Sunnyvale practice is a mercury-free office, utilizing IAOMT-safe mercury removal protocol and Mercury Vapor Ionizer. All of our restorations are mercury free. Dr. Indah specializes in amalgam filling removal to improve the long-term health of your smile. Relaxing environment: We provide a tranquil environment for patients, making treatment a stress-free experience. Innovative technology: To provide our patients with lasting results, Dr. Indah regularly incorporates cutting-edge technology into dental procedures. With state-of-the-art ozone and laser dentistry, patients can enjoy minimally invasive procedures, less tooth sensitivity, and shorter, more comfortable recoveries, as well as results that last. Additionally, we offer Dental Vibe for painless anesthesia & microabrasion for shot-free & drill-free dental work. New procedures: Innovation is not restricted to the newest dental equipment. As a leader in offering new procedures to patients, our Sunnyvale practice also offers the latest solutions to gum recession with the Chao Pinhole® procedure for gum rejuvenation. With this minimally invasive technique, Dr. Indah is able to better address her patients’ gingival and oral health needs. For patients with difficulty sleeping, we offer free airway evaluation for snoring & other sleep disturbances. 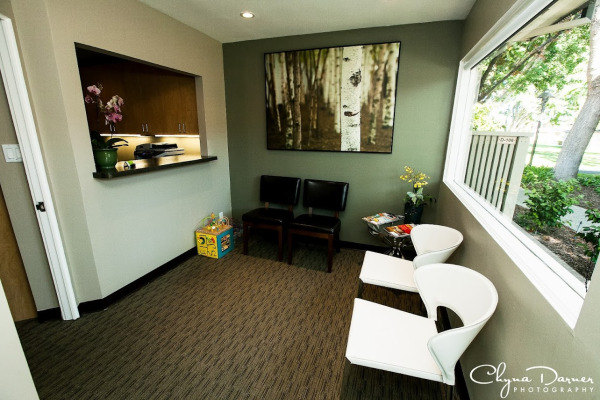 Our Sunnyvale, CA dental practice is located on the corner of Mary and Fremont Avenue, in the Foothill Medical Dental Center, across from Cameron Veterinary Hospital. Whether you’re looking for comprehensive general dental care or advanced specialty treatment, Dr. Indah and our staff are looking forward to helping you enjoy your dental experience.